Hello there! 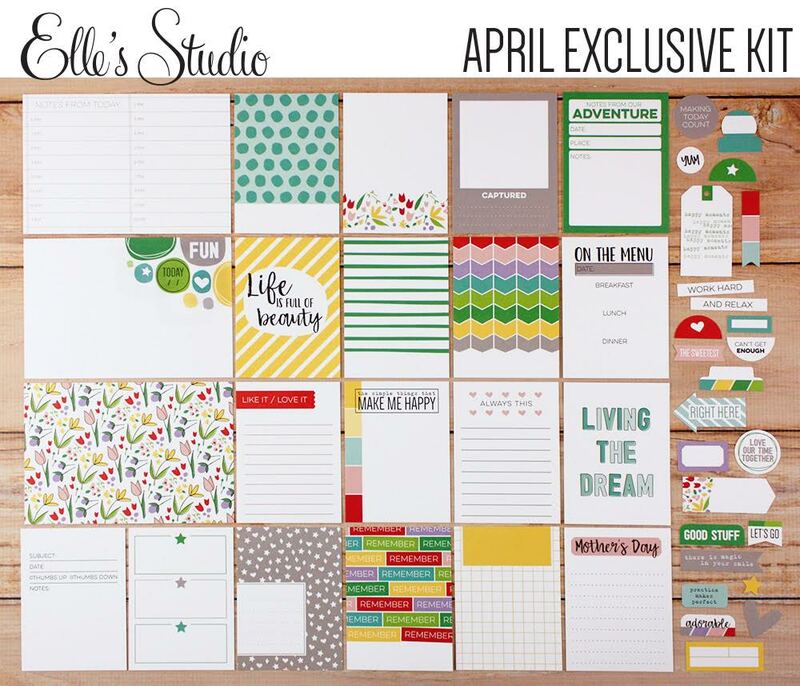 Today I'm here to share the April Elle's Studio exclusive products, and the two layouts I created! 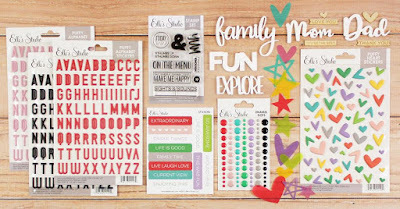 My number one favorite item in this month's release are the puffy stickers!! I LOVE hearts, and use them on all my pages. 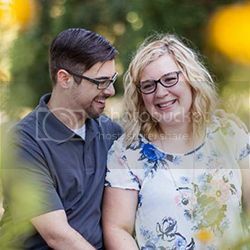 The colors are gorgeous! I also love the alpha letters, especially the pink ones! 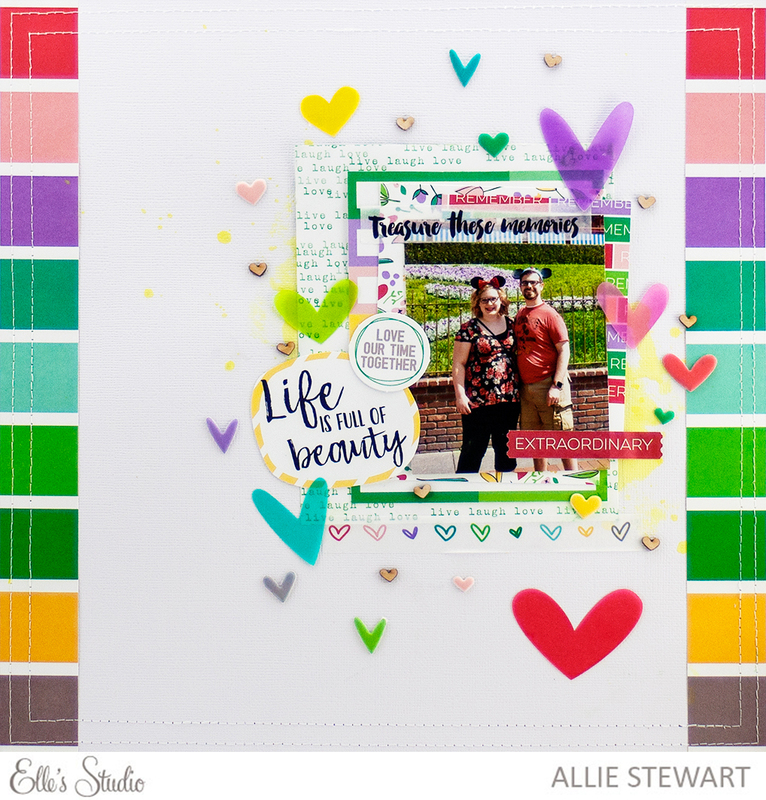 One great thing about this release is that it coordinates perfectly with the new Live Laugh Love collection, which I used in both these layouts. For my first layout, I cut the polka dot pattern from a scrap piece of cardstock and used it as a stencil with modeling paste. Next, I cut a banner from a patterned paper in the Live Laugh Love collection, and sewed it down. 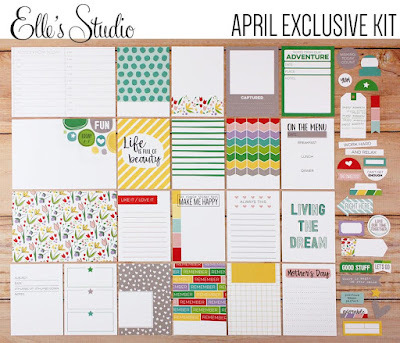 I used journaling cards from the April Exclusive kit as my layering pieces, as well as small blank labels from Live Laugh Love. 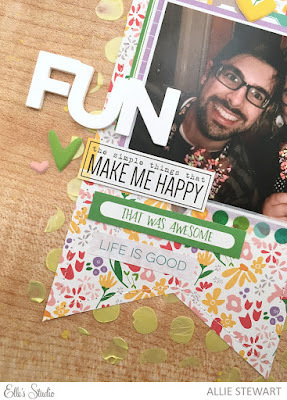 I added phrases above and below my photo using die cuts from the kit, the Extraordinary stickers, Live Laugh Love die cuts, and the Live Laugh Love Word Labels. 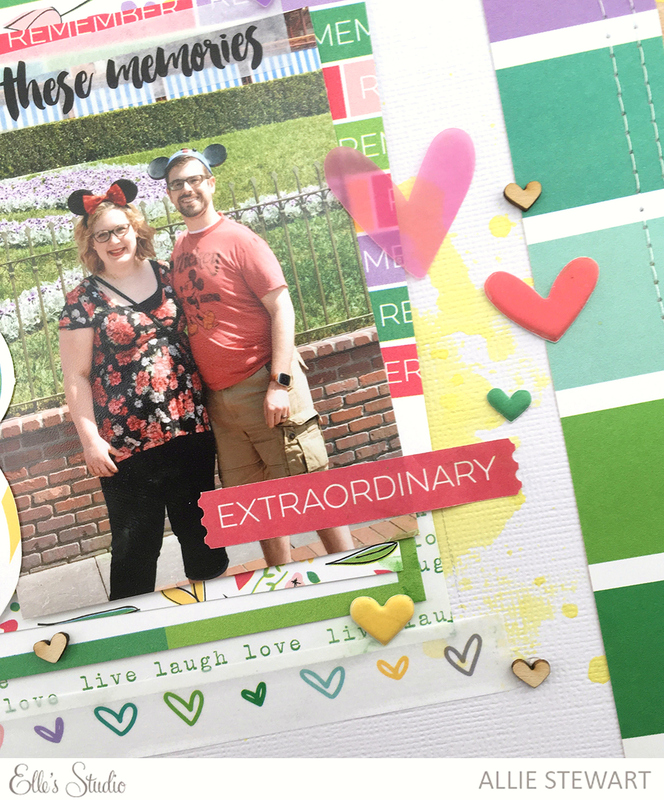 My next layout is full of rainbow colors and lots of hearts!! I started with the rainbow striped paper from the Live Laugh Love collection. I placed strips on either side of the page, and then sewed them down. 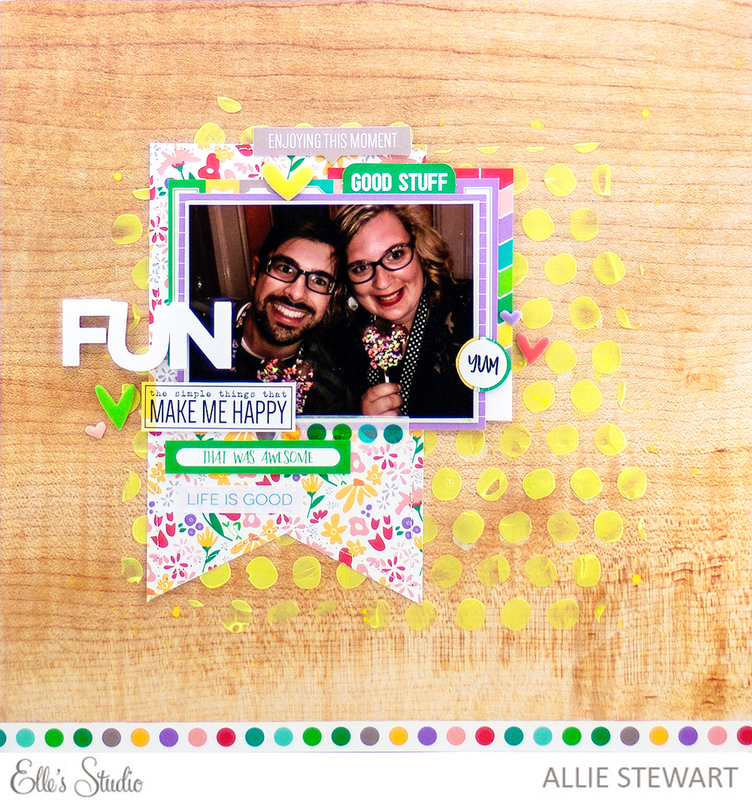 Next, I used yellow mist with the packaging technique on one side of the page, and added my photos and layers. 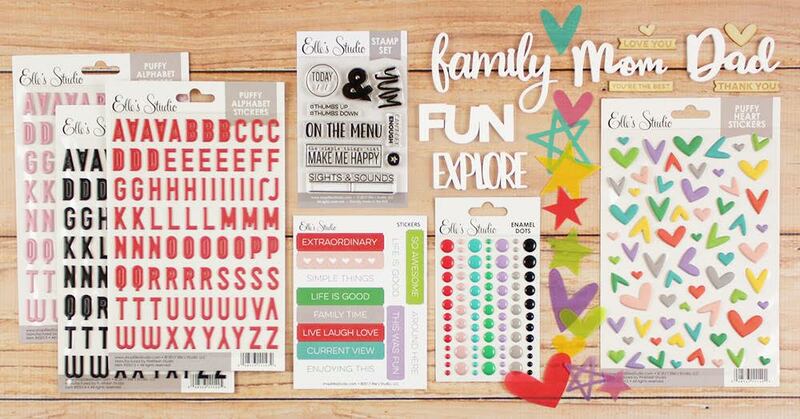 I love the washi tape stickers! 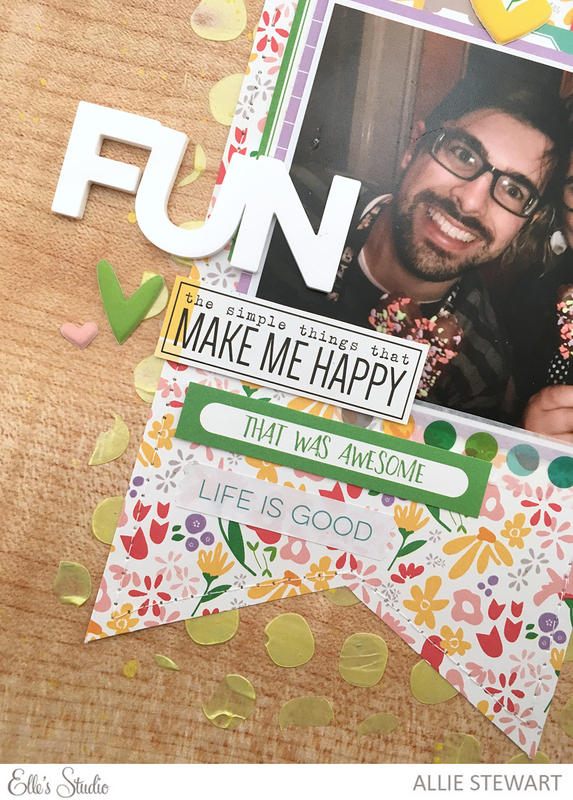 I cut out the "Life is Full of Beauty" from one of the journaling cards in the April kit. 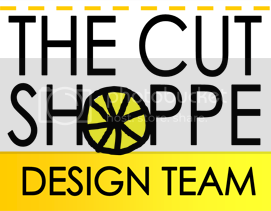 Thanks for joining me today, please stop by the shop and check out all the fun new goodies!